2015 is a special year for the Australian Province as it is 140 years since the foundation and 100 years since the death of founder, Mother Gonzaga Barry. 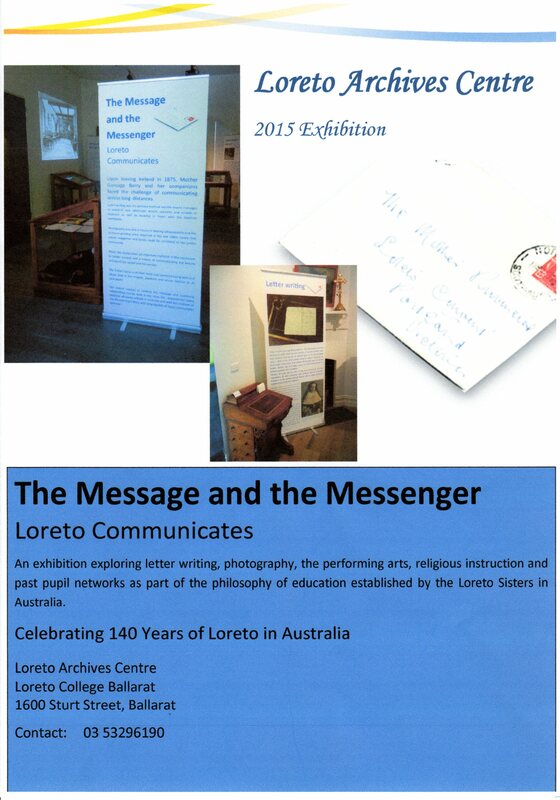 To celebrate, Archives is presenting a new exhibition in our display gallery – ‘The Message and the Messenger – Loreto Communicates’. 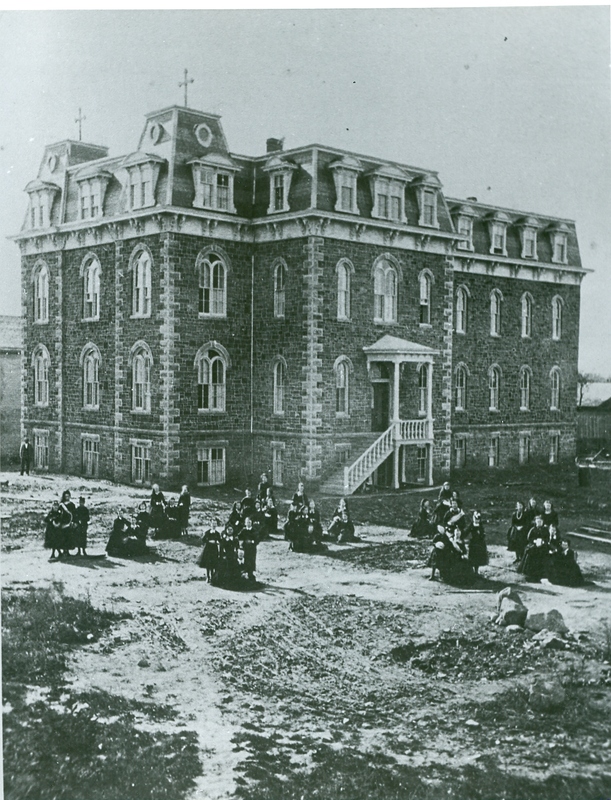 We have taken this them to explore the use of letter writing, publication, art and music, photography and religious practice by the early Sisters to communicate charism and mission. We hope to get some visitors when Ballarat hosts the past pupil Federation conference in April. To our surprise and amusement there was a man perched high above the mass posing for the photo below. He looks quite comfortable, nestled beside the dormer windows with a broom in his hand! 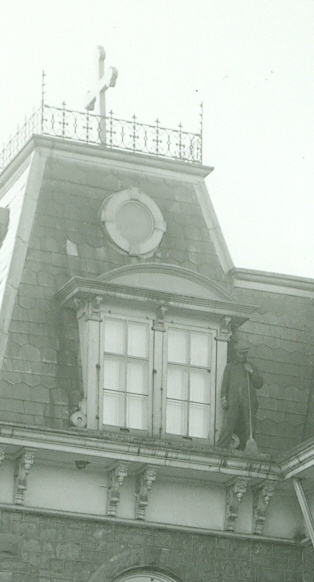 Presumably he was cleaning the eaves – and perhaps simultaneously trying to sneak himself into the photo. 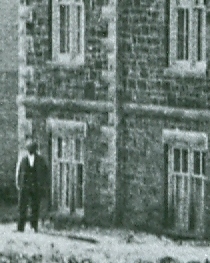 In the bottom left corner, there is also a man – previously unnoticed! The lesson we learned that day: sometimes you can feel that you are very familiar with an item. Stepping back and looking at it with “new eyes” (in this case instigated by our “zooming” in to look at architectural details) can yield new-found treasures. In the future we hope to have our photographic collection fully described with multiple tags. 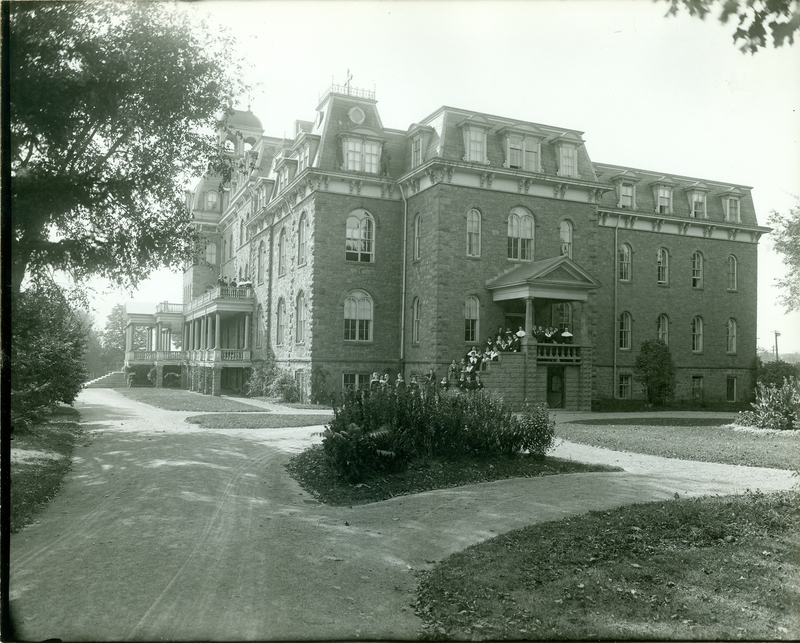 That will help in identifying the wealth of information on varying subjects held in our collection. Happy New Year – 2015! !